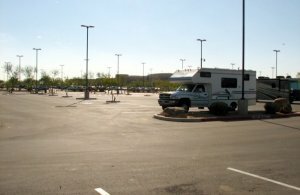 This Casino is no longer RV friendly, they are only glad to have you stay if you do lots of gambling. You have to have 350 points just to stay the first night, if you have been there before and dont have 350 points you have to move on like i did. I dont gamble much but eat the buffets, and have some drinks usually. their loss. There are too many Casinos around phoenix that are glad to have us rv's stay with easy policies that dont change monthly as it has at talking stick and casino arizona. its up to the manager if you get to stay now. I can say this Casino has become the worst out of all the ones i have visited, they just want gambling profits from what i see. good luck all if you try to stay here.